This is our last post on the high end accessories and designer dupes posts so I decided for the last one to give you a Fall 2018 trend which is the box bag. This bag can still carry your essentials but is structured and chic enough for after work drinks or a nice weekend out. 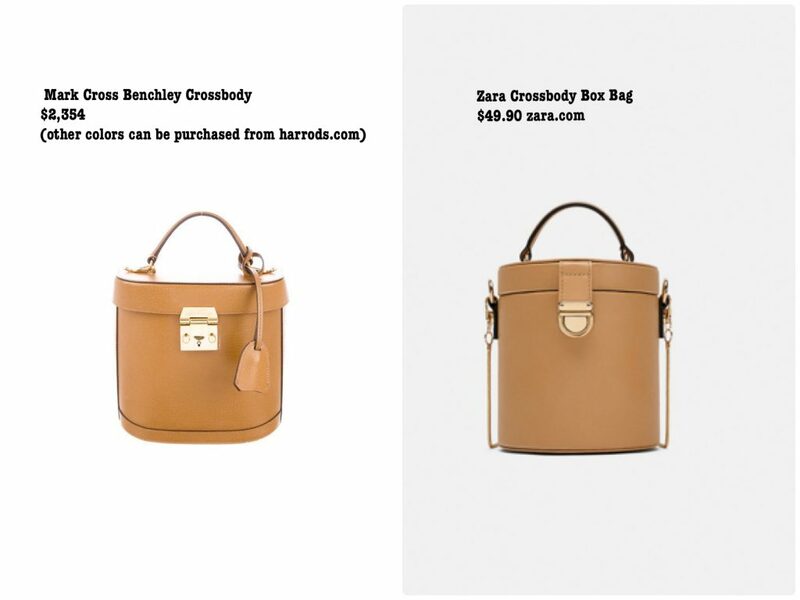 The Mark Cross bag is such a lovely color and the gold hardware and thin crossbody strap are icing on the cake; but at a whopping price tag of over $2,000 this Zara bag will just have to do for most of us and it’s also very chic and well made..Hope you enjoyed this and get some of our recommendations; if you do let us know in the comments!